B-Quik Racing is pleased to take part in this coming weekend’s 30th Anniversary celebrations of Bira International Circuit with two of our racecars set to be on show and in track action while we will also be supporting the event as a sponsor. Bira International Circuit has been the undisputed home of Thai motorsport for three decades. Located just inland from the City of Pattaya it was the first permanent race circuit in Thailand and an amazing history has played out over its confines throughout the years. There are so many memories and past glories to recall. 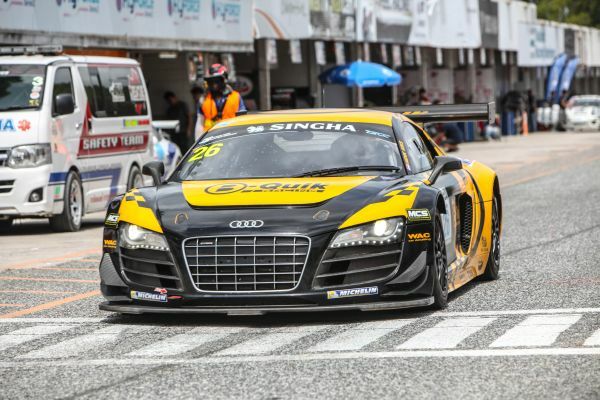 B-Quik Racing has a much shorter history in Thai motorsport – this year represents the team’s eighth season – however Bira Circuit has been right at the heart of our own achievements. We first started competing in motorsport in 2009 and Bira Circuit was of course the place of where our mechanics cut their racing teeth and our drivers honed their skills. We have raced multiple times at Bira Circuit every year since; in 2009 we started out with a single car, our classic racing Porsche 944, in Super Club, while in 2016 we have just enjoyed the visit of Thailand Super Series last month where we ran seven cars for the first time ever, the roster including two Audi R8 LMS Cup machines and three Porsches, one 997 and two 996s. We have also tested here many times, enjoyed highs and lows here and grown together here as a team. It’s tight, twisty, narrow, bumpy and only 2.4 km long but we still love to race at Bira Circuit today just as much as the first day. We’re proud to be part of the celebrations of the 30th Anniversary which will take place this coming Saturday, 15 October, from 1300 to 1930. The day will include a walk through the history of Bira Circuit with many drivers who made their mark here in attendance as well plenty of the two- and four-wheel machines that struck glory. The day will include hot laps, car club parades, racecar and motorbike demonstrations, and a safety show from the rescue teams, before the evening culminates in a stage show laid out before an audience on the famous main straight. 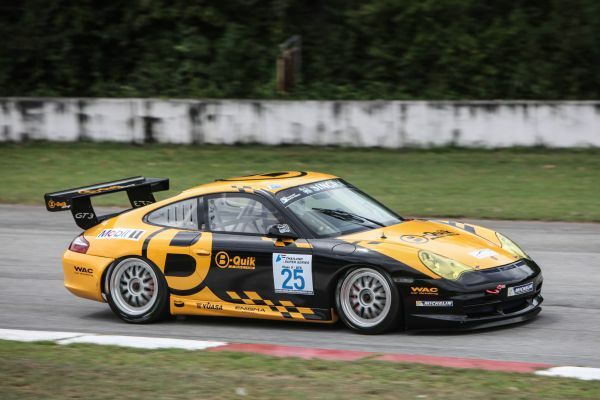 We will present two racecars that competed here in Thailand Super Series last month, the #26 Audi R8 LMS Cup which is driven by Henk J. Kiks in Super Car GTM and our recently acquired #99 Porsche 996 GT3 Cup which this season is in the hands of Attapot Sriprom in Super Car GTC. Both cars will be on show in our usual pit garage throughout the day while Attapot will also conduct ‘hot laps’ in the #99 Porsche during the day.